Nintendo has released a new sizzle reel of Xenoblade Chronicles X's flashy battle system, though the star of this video is not the visuals but rather the musical choice to back it up. Are we hearing the actual battle music for Xenoblade Chronicles X in this new trailer, and if so, how quickly can I reach the mute button? Developer Monolith Soft. has not yet confirmed if this strange Linkin' Park/JRPG battle music combination from Composer Hiroyuki Sawano will start blaring every time the heroes pull out their guns and swords. However, it does fall in line with a few of the other songs that have been made available on the game's official website. I get the feeling though that this is an overreaction from the fanbase, and that this theme will appear somewhere in a credit roll at the beginning or end of the game. That's what I feel like I should be watching when I listen to it. The third song of a generic sci-fi movie credit roll. It might not start out all that bad, but give it a good 40 seconds, and you'll see what I and the general fan reaction mean. Then again, who am I to judge a goofy vocalized battle theme when I am in love with Persona Q's "Light up the Fire in the Night." That song at least matches its game's goofy attitude, though. I always thought that Xenoblade should have a bit more majesty and exoticism to its music. Again, just remember that this is fan speculation, and neither Nintendo nor Monolith Soft. have confirmed that this is indeed the battle theme you'll be hearing over and over again. Please remember to wait before jumping to conclusions. 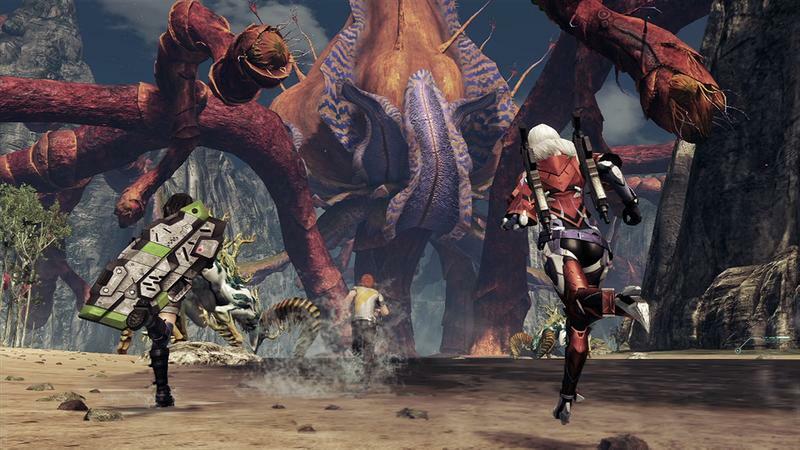 Xenoblade Chronicles X will release in Japan on April 29 for the Wii U, and a Western releases is expected before the end of the year.